Birmingham Museums Trust takes the lead and places images in the public domain, but who will follow? We’re nearing the end of production for series three of Britain’s Lost Masterpieces, a BBC programme I make with my co-presenter Emma Dabiri. In June, I was recording the voiceover for one of our programmes in Glasgow. The city is in mourning for Charles Rennie Mackintosh’s School of Art, destroyed by fire almost completely, and there is anger at how such a tragedy could occur only four years after a previous one. At the time of writing, the director Tom Inns was adamant that the gutted building would be rebuilt. Glasgow has not always been smiled upon by the architectural gods; in the 1960s, planners smashed a series of motorways through the city centre. The School of Art was a beacon of Scottish creativity, and we all hope it shines again. I bring better news from the campaign to abolish fees for images of works in British public collections. Birmingham Museums Trust has decided to go for “open access”, the first major British museum to do so. In a pioneering move, the trust will make images of copyright-expired works of art freely available to use under a CCO Creative Commons licence. This is the most open form of licence, and essentially means that the images are now in the public domain. The trust has over 800,000 objects, spread across nine sites (from the Museum and Art Gallery in the city itself to the Jacobean jewel, Aston Hall). 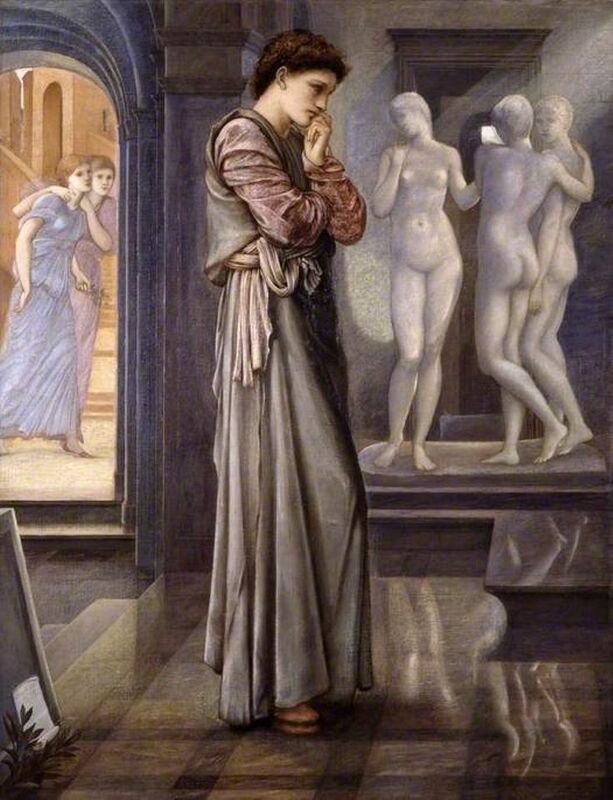 Its collection includes works by the likes of Turner and Constable, as well as the world’s largest collection of works by Edward Burne-Jones, and the trust hopes its decision will not only “make the collection more accessible” but allow “academics and researchers more freedom to explore the collection in greater detail”. There is a catch, but I think it’s potentially quite a clever one. The free images will be limited to 3MB in size, at a resolution of 300 dpi. Birmingham will still charge for its highest resolution images, allowing the trust to retain the possibility of raising income from more overtly commercial use of images. For those of us trying to persuade institutions to make images free, a constant challenge has been trying to distinguish between “commercial” and “academic” publications. Must an “academic” publication be something limited to only 500 copies, which is how the website Art UK rather meanly defines it (and through whose online shop you are charged £78 to reproduce each image for a book)? Or is the Victoria and Albert Museum’s much more generous limit of 4,000 more appropriate? And in any case, are print runs really relevant in a digital age? Far better, then, to follow Birmingham’s new model, which at a stroke ends all the costly bureaucracy behind image fees. A limit on file size is far more efficient than trying to limit usage or print runs. For most educational publishing purposes, 3MB is a high enough resolution. But if Louis Vuitton want to make more of their Old Master themed handbags, then they’ll need a higher resolution file, and will have to pay for it. Bravo, Birmingham. Who will follow their lead?